SHTF Multi-Purpose Bottle Hanger - Fish Mouth Spreader, Food Grade Spring Steel, Lightweight - Length 8” | BUDK.com - Knives & Swords At The Lowest Prices! Use the SHTF Multi-Purpose Bottle Hanger to hang a wide mouth, stainless steel water bottle over a fire to boil water easily and to remove it from the fire without getting burned. The tension of the spring will hold it in the bottle neck and provide a temporary handle. 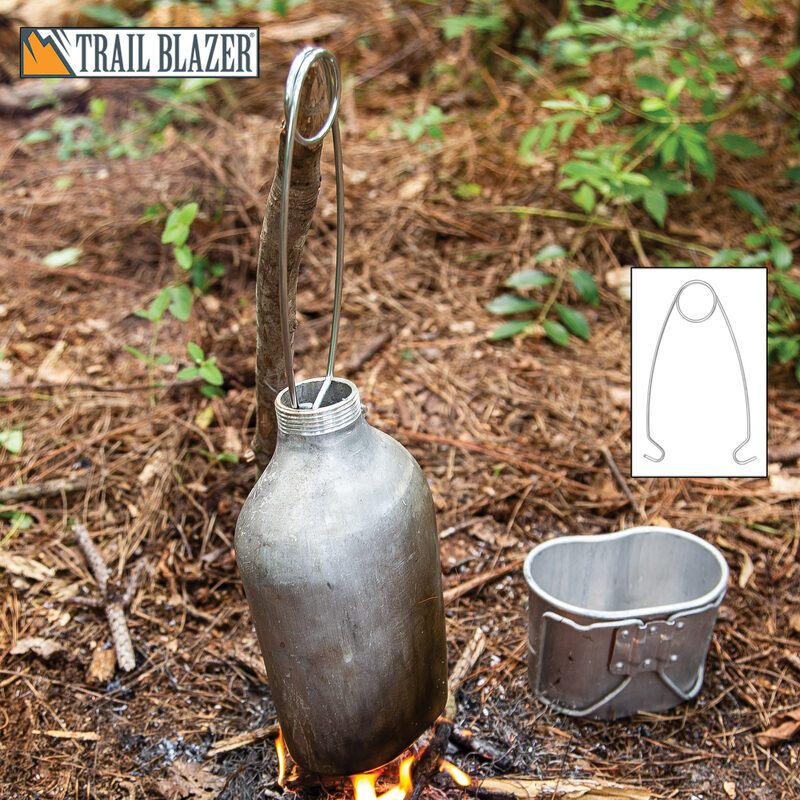 If you don’t have a steel water bottle, it can be used to hang a tin can by punching two holes near the top of the can. 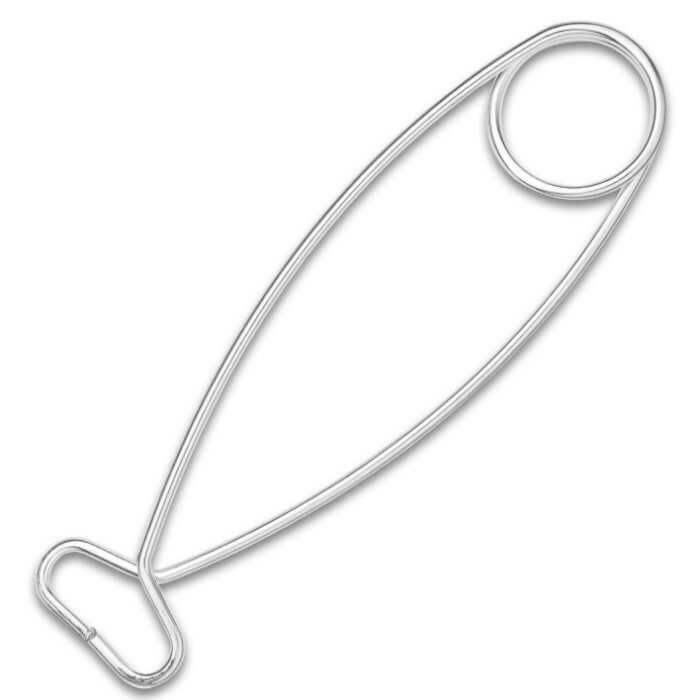 It can also be used as a small game gambrel and a fish mouth spreader. 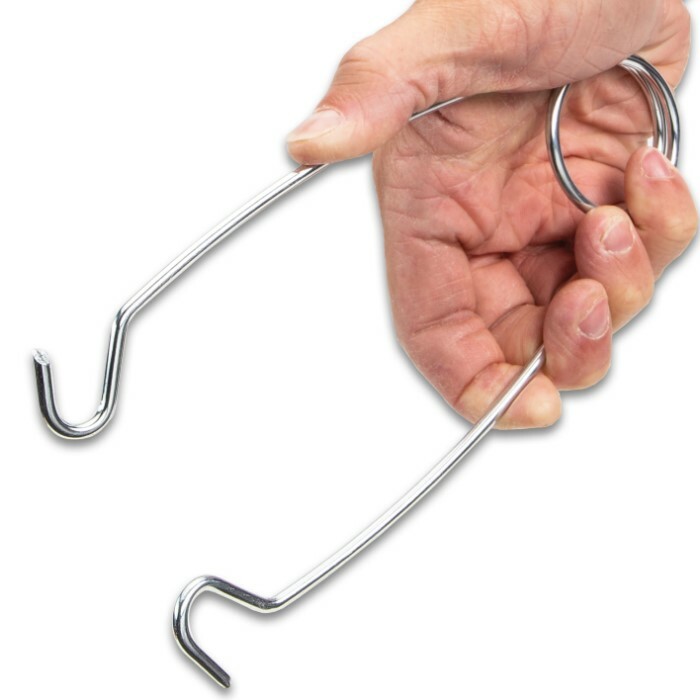 Safely handle any sharp-toothed fish or extract a deeply set hook by keeping the fish’s mouth open. Once folded, the lightweight 8” tool takes up little storage space and is a great multipurpose item for your camping, hiking for bug-out gear. I have several of these and the uses are many. I have even used them to hang my boots about 8' to 10' over the campfire to dry my soggy wet boots out. Have also used them to boil water, warm up stews/soups from a camp mess pot as well. Many many uses. I carry a spool of small gauge steel wire in my camp toolbox so I can suspend it from above and then I don't have to worry about my fire getting a free meal lol.